A month ago, a single Bitcoin was worth around $2,000. It has doubled in value since then. 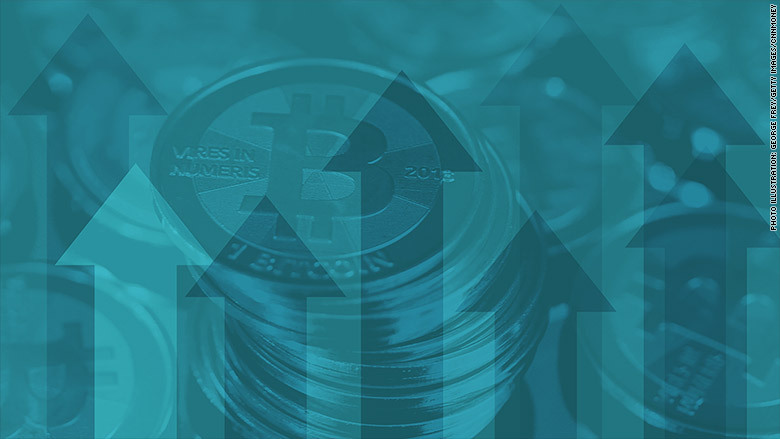 The price of bitcoin broke through $4,000 on Sunday, a new record, and has largely stayed above that level since, according to digital currency news site CoinDesk. The dramatic price rise marks the latest milestone in bitcoin's stellar growth in 2017 -- it's already worth more than four times its value at the start of the year. Experts say it's difficult to determine the exact cause of the latest jump, but they point to three factors that are helping to drive prices higher. Bitcoin was wracked with uncertainty two weeks ago when the digital currency split into two -- the original bitcoin and a new, cheaper offshoot called Bitcoin Cash. The new unit was created by a group of people who differed with the bitcoin community's view on how to make the currency easier to use. "The record-breaking price levels would seem to indicate money coming into the market that had been held back pending the uncertain outcome of a split of the bitcoin network," CoinDesk said. The main advantage of Bitcoin Cash is its new software that allows quicker transactions. Bitcoin is also trying to increase transaction speed by tweaking its own software. It's called "Segregated Witness," a change in bitcoin's rules that would allow people to put more transactions on each block of code used to trade the digital currency. SegWit2x, as it is also known, is set to roll out later this week. "It isn't fully clear what is driving the rally - although certainly SegWit2x is playing a leading part," said Charles Hayter, CEO of digital currency website CryptoCompare. "Although there are uncertainties, this is an epochal moment in bitcoin's evolution and opens up [an] option for how it can grow," Hayter added. Japan has a mixed history with bitcoin. The founder of one of the currency's top exchanges, Mt. Gox, was arrested by Japanese police in 2015 and is currently on trial in the country for embezzlement. But the current bitcoin rally appears largely to be driven by users in Japan, who accounted for more than 40% of trading over the past 24 hours, according to CryptoCompare. -- Selena Larson contributed reporting.